Steeply-angled sunlight creates a muddled mystery of which terrain are mountains or valleys in this early-morning scene. Only snaking fog shrouding the river reveals the secrets of the inverted topography. 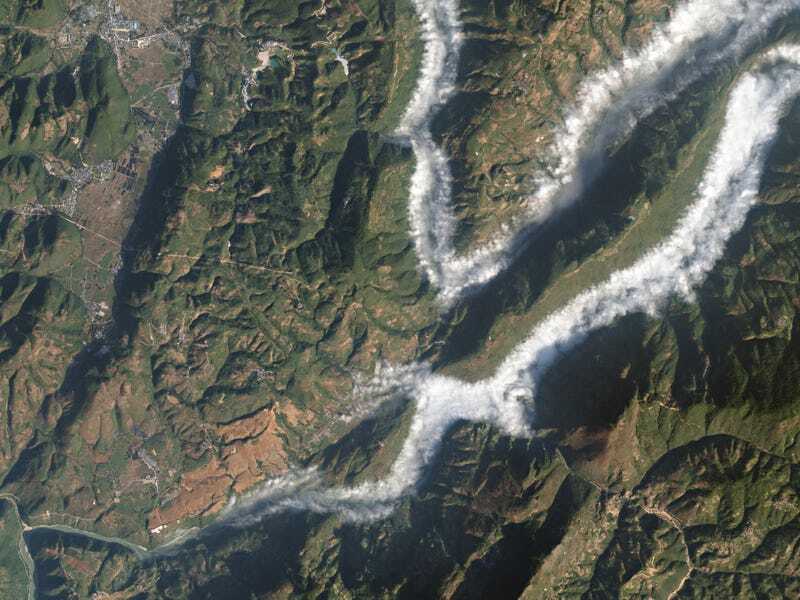 Fog hides the Thanlyin River in western Yunnan Province, China. It simultaneously identifies where the bottom of the valley is, untangling the illusion of up and down despite the sharp shadow setting off the high-relief terrain.